There is not much you can do when your washing machine stops working. Whether it's no longer spinning, agitating, draining , or it just started shaking violently, it takes a washer repair pro to diagnose the issue properly. This is because there are so many different internal washer parts that could become problematic. If you do not have washer repair experience, then you want to rely on a trustable provider of washer repair in Evanston IL. We have decades upon decades of experience serving the Evanston IL region with the highest level of craftsmanship for all types of appliance repairs. When it comes to fixing a washing machine, you know you can count on us for all your Evanston washer repair needs. We work on all types of washers, from apartment-sized to coin-operated, and have serviced almost every brand name in existence. We also have access to washer parts in Evanston IL for washing machine models both old and new. If we get any discounts from our local washer parts suppliers, we will be sure to pass the savings onto you. It all starts with a quick call, where we have the chance to evaluate your washing machine troubles and determine a cost-effective solution. If your parts are not accessible in Evanston IL, we will quickly call out for a quote to get them shipped in. Regardless, we ensure every washer repair in Evanston IL gets handled as fast as possible. You should not have to be left worrying about when your washer is going to give out; give us a chance to free you of washing machine issues for good, like we have done for countless business and homeowner clients in previous decades. Do not be the 'laundry noob' that never touches any of the controls. You should be changing the type of load you are running based on what's inside, yet many just run the same type of cycle over and over. 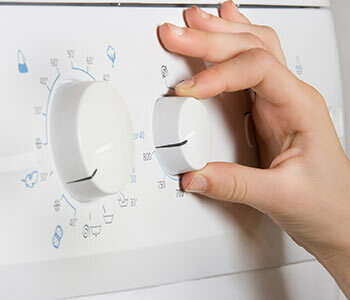 Don't just use Regular and Delicate, but also try the heavier settings; a hot-water clean will also help get grease and stains out of your laundry. Further, you could run a slow spin for your dress shirts and pants to make them come out of the wash with fewer wrinkles.